Today feels to be a different day, doesn’t it? I don’t know if you can sense that something has changed on the fashion horizon or not, maybe it’s the Spanish heat taking over, but there’s some juicy news we really want to share. 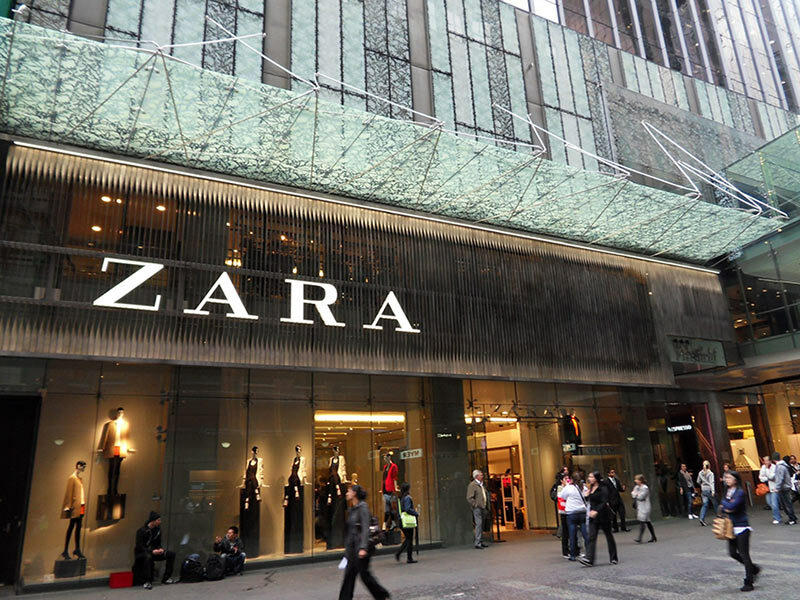 Inditex SA, the world’s largest clothing retailer and the owner of Zara has reached its market value of $100 billion. The result was reached due to the 36% gain in company shares. Some of the factors that have made this number possible are the weak euro, latest positive changes of the domestic economy, and a boost in online sales (here’s another hint that the web is a real gold mine for fashion retailers). The fact was registered on Wednesday and could be a start of a new image strategy for the brand. The Inditex stock rose 0.9% to 32.16 euros at exactly 2:26pm in Madrid. The staff at Inditex probably got a second lunch break, lucky them! The Spanish market has paid a special dose of attention to this news, as Inditex is the only Spanish company with this status. They have done what every successful company has done on the path to glory ‚Äö√Ñ√∂‚àö√ë¬¨‚àÇ they were the first! The founder of this giant company is Amancio Ortega. Doesn’t ring a bell? Try again; he’s the fourth richest man on earth now, “outriched’ by Bill Gates, Carlos Slim Heru and Warren Buffett. He started the company back in 1975 in a small city in Spain called A Coruna. In fact, it still remains his hometown that enjoys some of the best views to the sea in Northern Spain. Back to the news of the day, it’s a pretty big deal and very newsworthy as only 80 companies have recorded similar results in the entire world. This event is a change of the fashion landscape, where we didn’t even have a clue that a company owning mass-oriented retailers like Bershka and Zara, could do so well in numbers that it outran hundreds of equally successful companies. So go ahead and share this, and talk about it with your friends, and, why not, even dedicate a social media post to it. Everyone who thought Zara is a middle class brand or a kind of not-so-impressive fast fashion that sells nothing special, can go ahead and consider the positive growth that this chain of retail stores has produced and reconsider the statistics. Here’s some help; Inditex has more than 6700 stores in around 90 countries; that’s half of the world and I think these	numbers are about to rise as well. Apparently, the world loves Zara, as well as Bershka, Massimo Dutti, Pull & Bear, Stradivarius, Uterq‚Äö√†√∂¬¨‚à´e … and every other member of the giant Inditex group. As a final positive note for Inditex, analysts are predicting more increase in company stock value, so keep a close watch for the company’s next leap.